So it's that time of the year where we have to ditch our tights and bare our legs for summer. I love summer, but living in London, we hardly have the pleasure of enjoying the sun all year round. As a result, by the time the sun decides to grace us with its presence, my legs become extremely pale and pasty. Yes, women with darker skin tones can also look pale and fair if they don't get exposed to the sun. I had the pleasure of attending the launch of Caudalie Divine Legs a few weeks ago which was perfect timing as I have been looking for a tinited lotion that would suit my skin tone without making me look orange. Caudalie Divine Legs (*) is simply a tinted body lotion that is suitable for all skin tones. It has a lovely light texture which dries instantly once applied. It isn't sticky. I used the product when I was wearing a white dress and was anxious thinking that it would come off onto my dress. It didn't at all. Impressive. It is said to "activate the skin's natural tanning process". I didn't notice any difference in that respect but I really like using this product. You also do not need to use that much. I used two pumps per leg and found that that was sufficient. You can intensify your tan by just adding more product. The product rinses off with just water. I'm not sure if this is the best picture to show the difference in colour, but I wasn't able to take before and after shots of my legs. As you can see from the picture above, it just lifts my skin tone and makes it appear more golden and sunkissed. My skin also felt extremely moisturised. Can you notice the difference? It gives my skin a lovely glow and doesn't have any shimmer to it which is good. 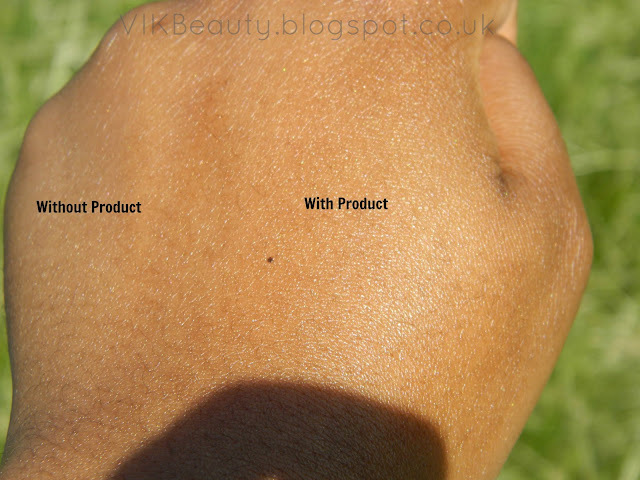 I do like subtle shimmers now and again, but I wanted a tinted lotion that I could use on a daily basis. I think products with shimmers in them are great for an evening look. The lotion has a sweet smell which isn't overpowering. It contains natural ingredients such as carob fruit and chicory extract which provides an instant tan effect. Caudalie Divine Legs retails at £26 for 100ml. You can pick this up online. Click here. 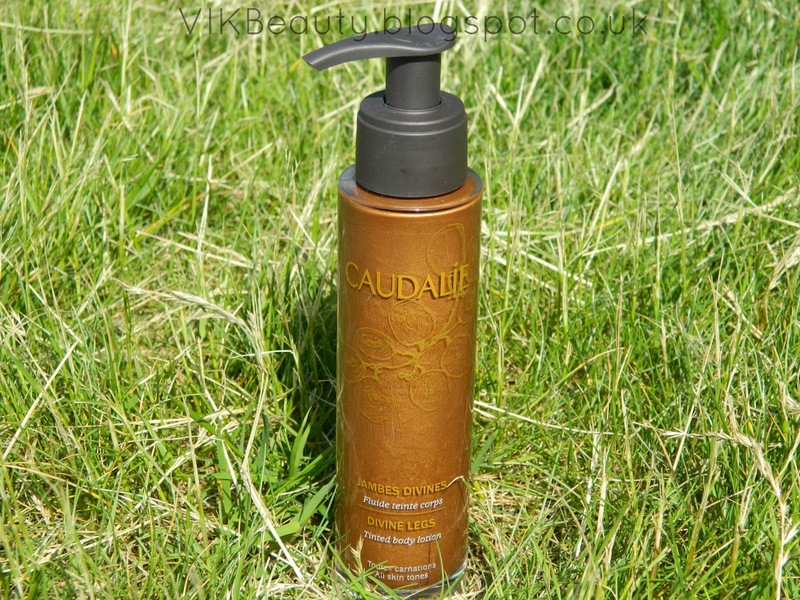 It is pricey, but I use a number of Caudalie products and have been impressed with the quality. Have you tried this tinited body lotion from Caudalie? ***Don't forget that you can follow me on twitter, instagram, facebook & bloglovin. This looks lovely! It really gives that extra bit of glow! This products sounds great for the summer time. Style Post ~ AZTEC Prints: My Picks! DHC Deep Cleansing Oil: A Miracle Makeup Remover!